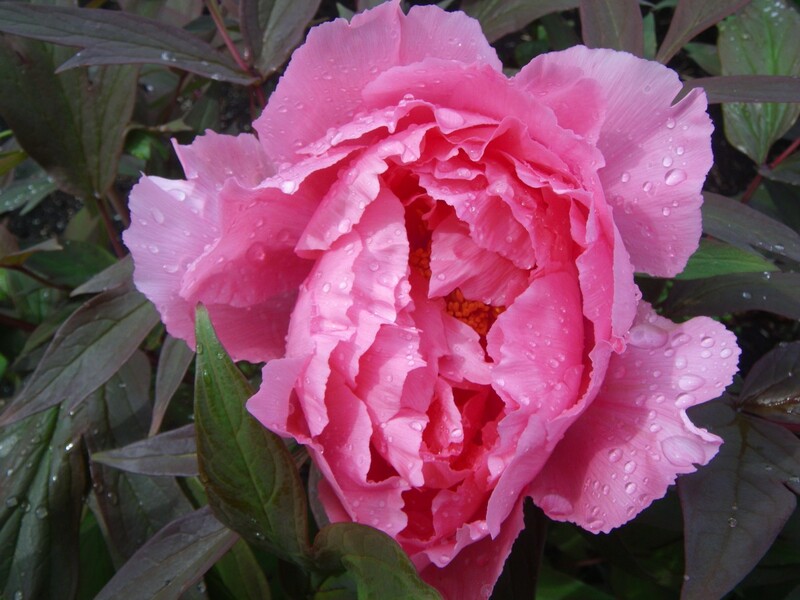 Peonies are currently putting on some magnificent shows in gardens. They are a perennial favorite in our late spring gardens with their amazing flowers full of pink, white or dark red petals. And then their fragrance! In addition to being a garden favorite; peonies are also one of the most loved flowers by the brides for May weddings because of the endless layers of petals and subtle fragrance. The flower itself speaks romance, elegance and abundance. 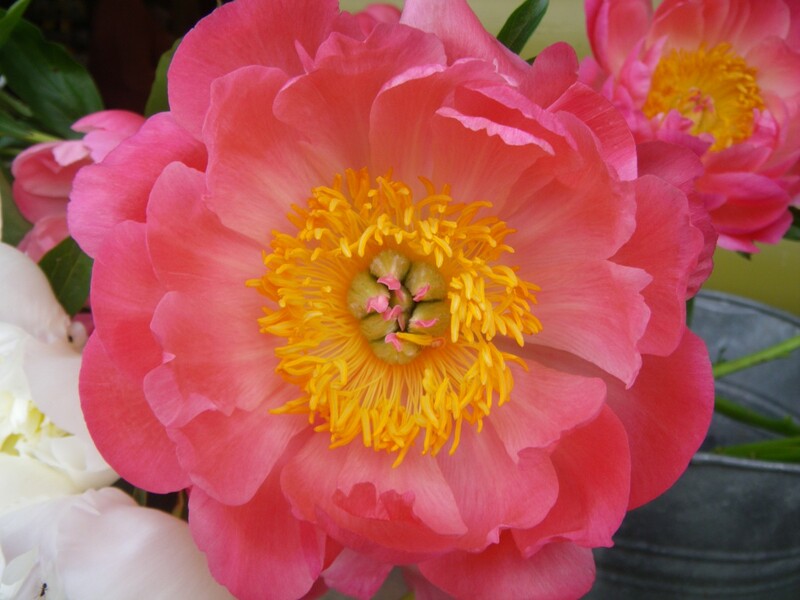 Peonies certainly create stunning and breath-taking wedding scenes. 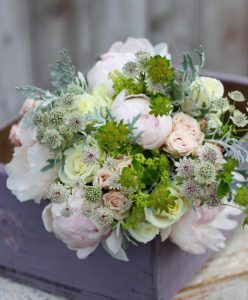 The featured picture is a wedding bouquet from Flowers From a Country Garden. However, there are other interesting facts about this beautiful flower. 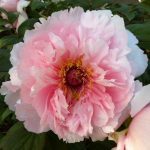 Peonies are native to Asia and Southern Europe and were revered by the ancient Chinese and people in other Asian cultures. 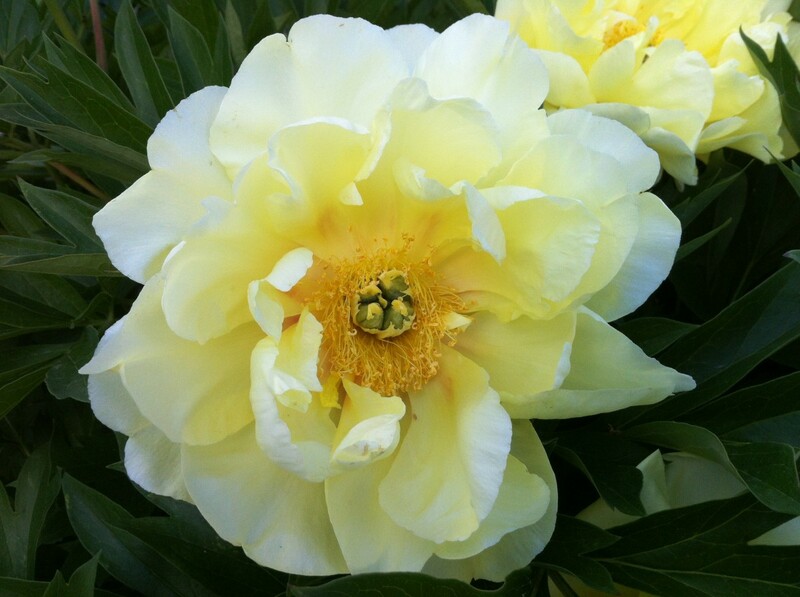 In fact, gold peonies, and in particular, gold tree peonies, were considered the special property of China’s emperor. Other people having the plants could be put to death. Romans transported the plants to England, where they flourished in the moist climate. 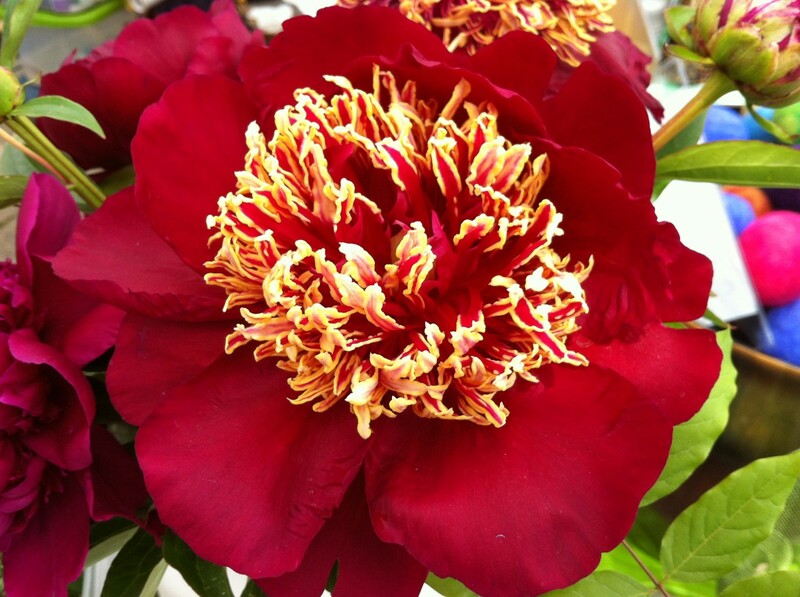 The Chinese name for the peony is sho yu and this means “most beautiful”. 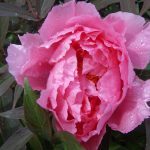 No wonder why there are so many people fell in love with peonies for centuries if not millennia in myths. 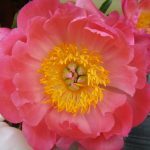 A peony represents wealth and honor. It also embody romance and love, and are regarded as the omen of good fortune and happy marriage. They are the 12th wedding anniversary flower. 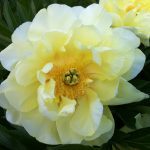 A peony is one plant you will enjoy for a long time. 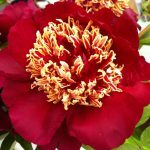 Peony plants can live to be 100 years and still produce flowers. 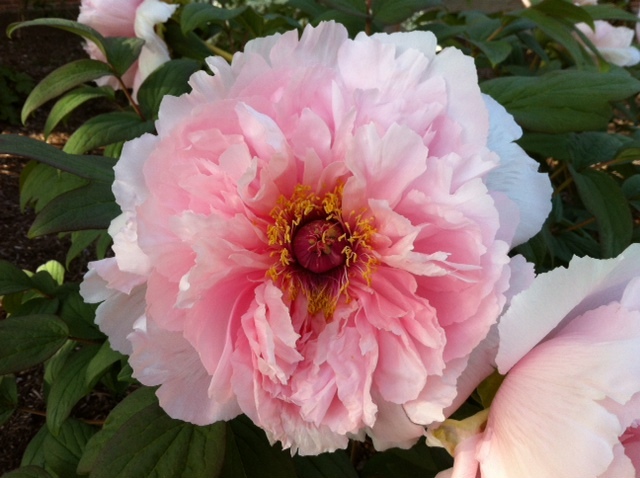 Peonies bloom from late April through June in Vancouver. 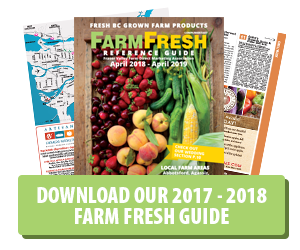 Be sure to enjoy peonies while they’re in bloom this season!